Heatmaps are critical to determining how current visitors interact with your website, providing information which will make your marketing efforts much more effective. Heatmaps provide unique insights and data about visitors as they navigate and engage with your content. Data collected does not identify the actual user only how the user is drawn to certain areas on your website. Mouse movement on specific pages will show exactly where visitors are spending their time and the areas of the most interest. Conversely, they will also identify what areas of your website are not performing, providing you with the information needed to make changes to increase conversions on a particular page. Heatmaps use colour to communicate complex statistical data which will track and visually show what your visitors habits are in relation to your website, including their current needs and motivations. Through colour values, heatmaps reveal where the specific action is taking place on your website. For example, the warmer colours of a heatmap, like red and orange, will reveal where the high traffic areas are. The cooler coolers, such as blues and greens, show less activity. 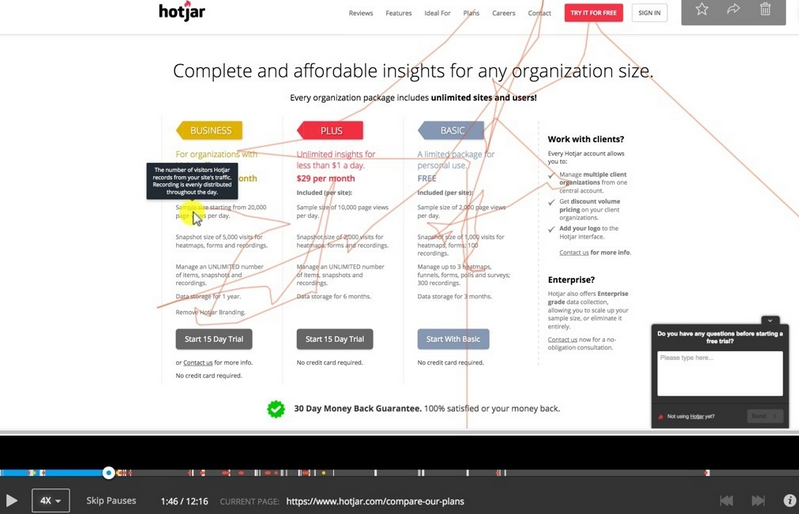 Heatmap software, provided by companies like Hotjar, also provide a visual representation of your web and mobile site visitors, in terms of mouse clicks. The more clicks and action, the brighter the area. The value of this information provides you with a clear direction of what needs to change on your website. 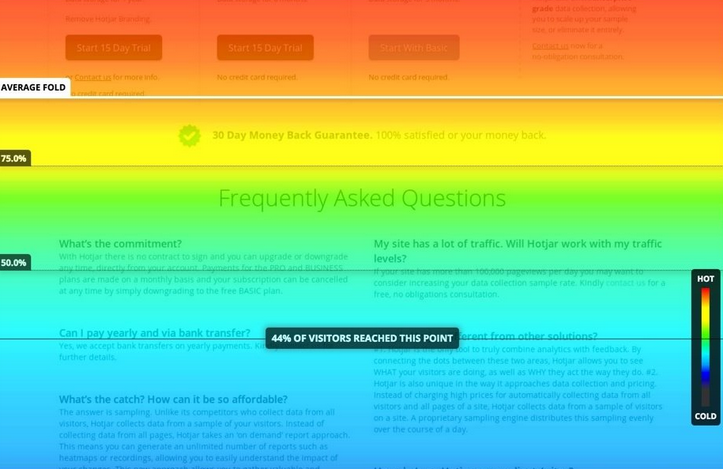 For example, scroll heatmaps will show how far a visitor has scrolled on a specific page before leaving that page. If there are certain actions that you want a visitor to take, like clicking a call to action, directing them to a new service, or pushing them to buy specific items, understanding where a visitor spends their time on a particular page helps to identify how you can direct and improve their journey. Historically, heat maps could only track clicks. Today they can track movement which is shown through live video capture. “This can show us exactly how users are interacting with the site,” says Alexander. The tracking information will help you streamline your website from a navigation standpoint, allowing you to provide visitor information in a quick, digestible format which immediately delivers the product or service they require. For more information on how to improve your website marketing strategy through heatmap software, please click here for a free consultation.